Notes on materiel: Gun, machine, light, cal. 7.92 mm T-44. Dec 1944. Conversion of German FG-42 (Krieghoff) paratrooper gun, with MG 42 belt feeding mechanism. Gun, machine, cannon, aircraft, 20 mm experimental (1938 I)— German. 1 May 1946. Brief description of incomplete captured German Krieghoff cannon. Photo. L?. S. Naval Powder Factory, Indian Head, Md. Gun, machine, cannon, aircraft, 20 mm experimental (1941)---German. 27 Mar 1946. 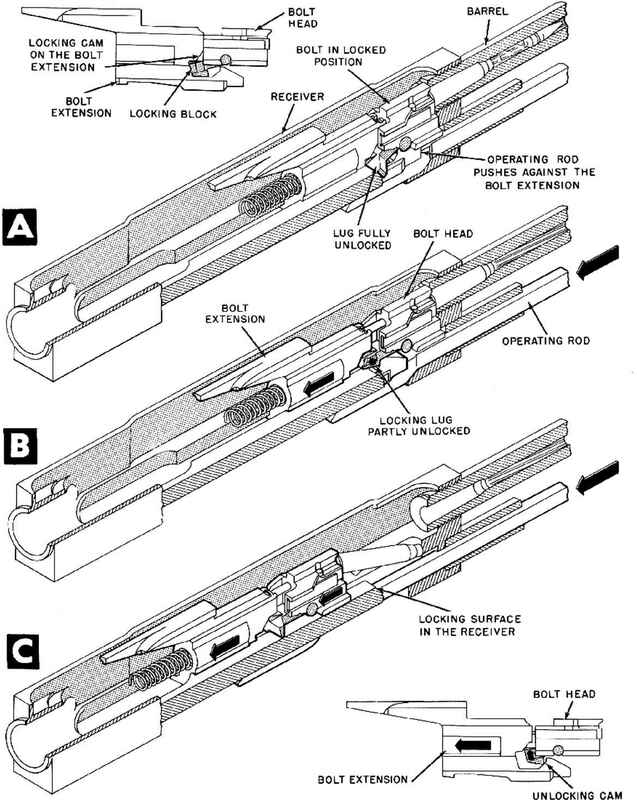 Preliminary report on incomplete assembly of experimental aircraft cannon (Krieghoff L Operation summarized; photograph. Machine, cannon, aircraft—20 mm experimental (1942 III)—-German. 9 Apr 1946. Photograph and preliminary report on experimental German aircraft cannon (Krieghoff). Operation is briefly outlined. Machine, cannon, aircraft—20 mm experimental (1944 ) — German. 9 Apr 1946. Preliminary report on captured German cannon, incomplete, constructed of heavy steel, crudely machined. Brief description and photo of air-cooled belt-fed gas and blowback operated Krieghoff. Machine, cannon, aircraft—20 mm experimental (1944 V)—German. 9 Apr 1946. Similar in appearance to 1944 experimental 20 mm Krieghoff described in another report. Operation outlined. Photograph.